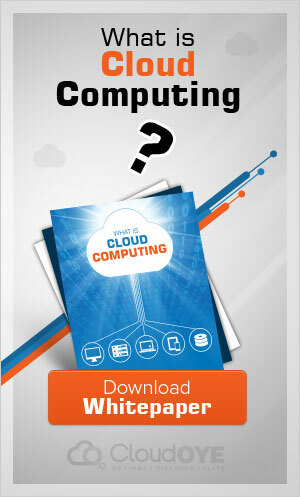 Cloud computing is an apparent headway in the delivery of information technology and services over past few years. Through on-demand access to a pool ofshared resources in a scalable and flexible manner, cloud computing offers lucrative advantages in terms of speed, agility and competence. There has been evolution and unification of various trends that has driven enterprise data centers and service providers over the last few years. Cloud computing is a model that enables expedient, on demand or instant access to pool of shared and configurable resources (such as cluster of servers and networks, storage provisions, software applications, and other related services) that can be seamlessly provisioned and set free with minimal management endeavor or involvement of service provider. There are five major inherent attributes of cloud computing, three service models and four major deployment models. Enables the end users to provision, supervise and handle computing resources as per their changing business requirements without the assistance of supervisor. Instant deliverance of computing services over standard networks and heterogeneous devices. Enables the end users to easily scale up and down their IT resources whenever required. IT resources are shared across multiple applications and heterogeneous devices. Users have to pay as per the IT resources utilization. It is considered as the foundation layer of cloud computing. With this service model, you can easily manage all your applications, mission critical data, OS, middleware and runtime smoothly. You don’t have to incur unnecessary expenditure on the procurement of hardware and hiring of human resources. In IaaS, service provider holistically manages everything right from virtualization and server to networking and storage. PaaS constitutes of the environment needed for the development and provision of cloud-based applications. The principal users of this model are mainly developers who are in quest of developing and operating a cloud application for a specific platform. You efficiently control your applications and data and rest of the things are managed by the cloud service provider manages. Key benefits of using Platform-as-a-Service include streamlines version deployment and cut down expenses. Businesses with limited resources can opt for PaaS as it is beneficial to reduce down the hardware maintenance costs. SaaS facilitates the cloud user with complete applications. SaaS is primarily accessed through a web portal and service-oriented architectures derived from web service technologies. Hence, it enables businesses to run programs in the cloud where everything is completely managed by the cloud service provider. It ensures compatibility and easier collaboration because all your users will be using the same software. You don’t have to pay an additional license fee. Plus, you can without facing any difficulty add on new users as well. The private cloud is an assortment of computing resources provided as a homogeneous set of services that are exclusively controlled and managed by a single organization. Albeit the hosting and management of private clouds can be outsourced to a third party vendor, howeverit usage remains confined to onlyone organization. The private cloud is an assortment of computing resources provided as a homogeneous set of services that are exclusively controlled and managed by a single organization. Albeit the hosting and management of private clouds can be outsourced to a third party vendor, howeverit usage remains confined to onlyone organization. This cloud model is shared among multiple organizations with common interests and business requirements.For instance, different types of communities or universities in same constituency. When any organization adopts both private and public clouds for a single application so as to leverage the benefits of both. This type of cloud has the capability to allow smooth movement of mission critical data or application from type of cloud to another through their interfaces.